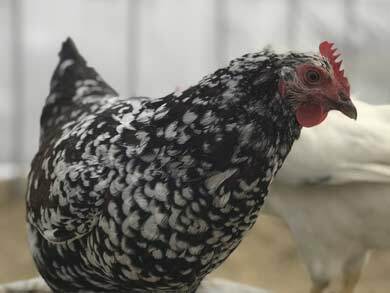 About 3/4 of our laying flock are the powerhouse breed Golden Buff, which lay beautifully rich brown eggs, but we love having a variety of colorful eggs so we also have a mix of about 60 rarer birds including the breeds Easter Egger, Blue Ameraucana, Olive Egger, Barred Plymouth Rock, Speckled Sussex, Silver Laced Wyandotte, Welsummer, Buff Orpington, Delaware, Rhode Island Red, and Black Australorp. 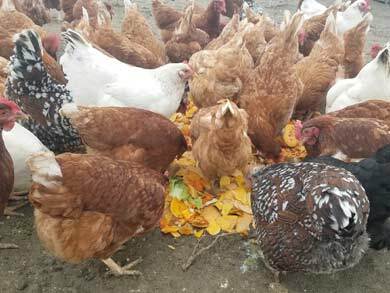 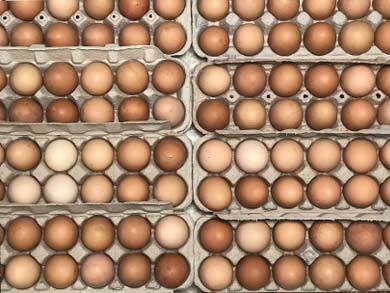 This gives our eggs a lovely range of color and keeps our flock interesting. 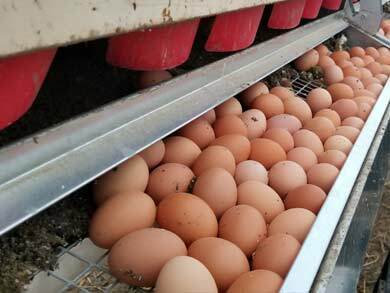 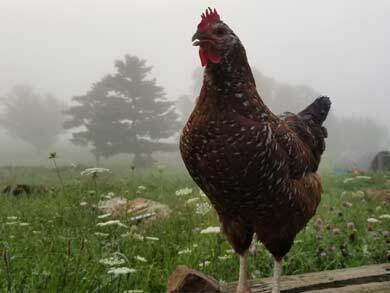 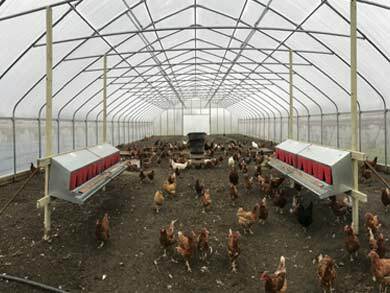 We sell our eggs at the different farmers markets that we attend and through our csa program.